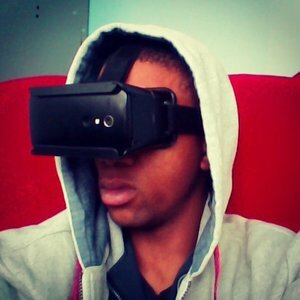 SoftwareRandD.com has provided Virtual Reality R&D since 2014 and has implemented the technology in industries such as healthcare, education, & more! Josh of SoftwareRandD.com conducted software R&D for Fwd.us, and was even granted the opportunity to chat with Mark Zuckerberg, who helped fund the organization! HeyThere is a dating app that enables you to quickly and efficiently request phone numbers at social events. Email us if you're interested in using it at your next party. Whether you already have a domain name or not, we can help you improve your domain name strategy! Twlbox.com helps people connect to content via 3-4 digit codes! It was one of the first products developed by Joftware (SoftwareRandD.com) and greatly inspired FinancialContribution.com. NigerianInvestors.com is a news site for Nigerian investors. Visioneer helps quickly build and test apps & app concepts. DateReferral.com is a service that gives people extra incentive to find dates for you!